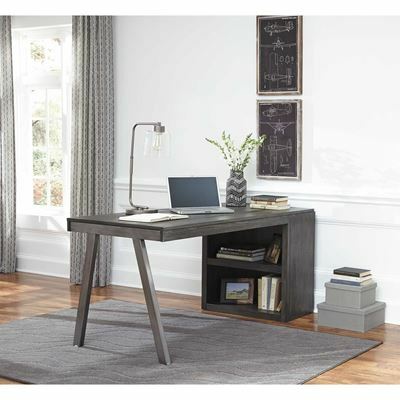 Raventown Office Desk by Ashley. 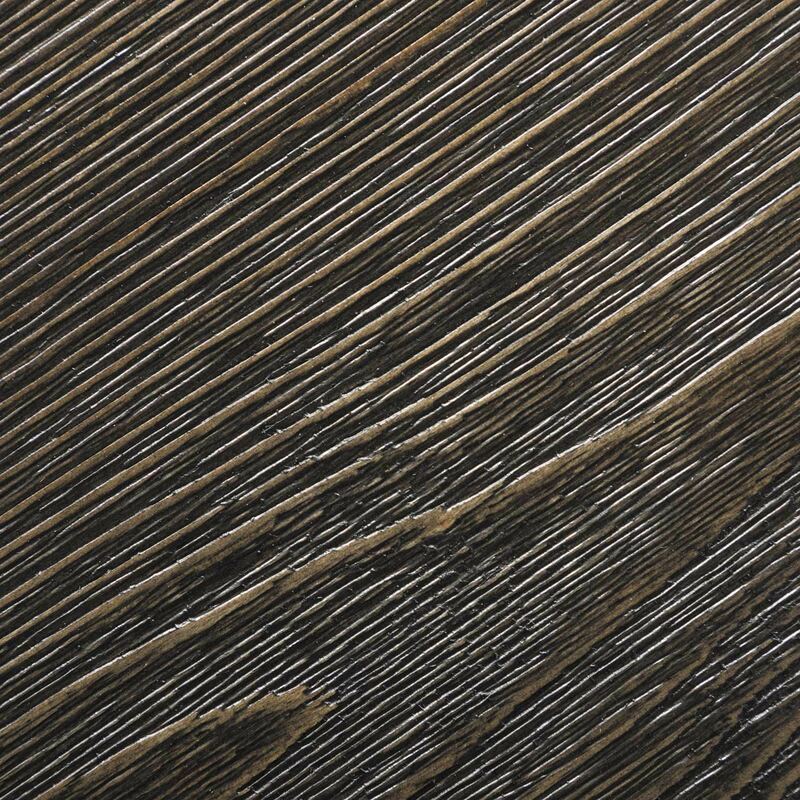 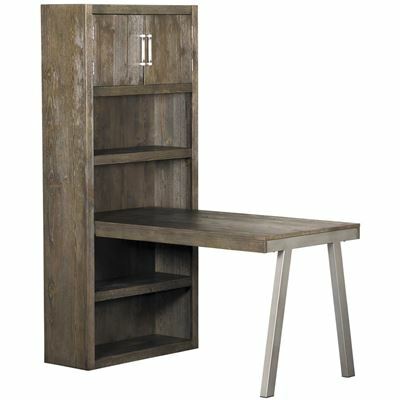 Made with wire brushed pine veneers over engineered wood and finished in a grayish brown coloration. 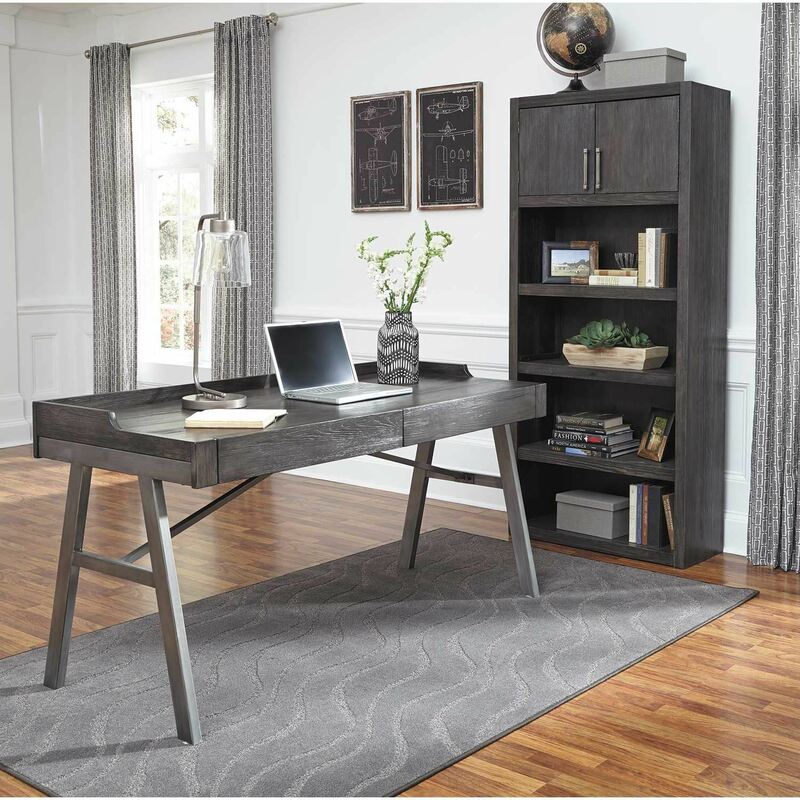 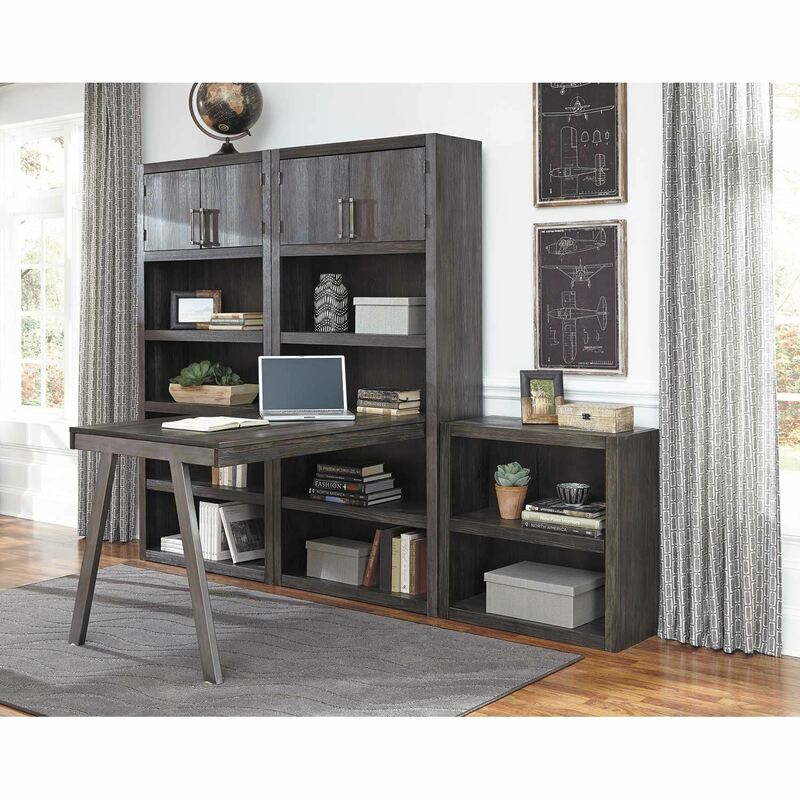 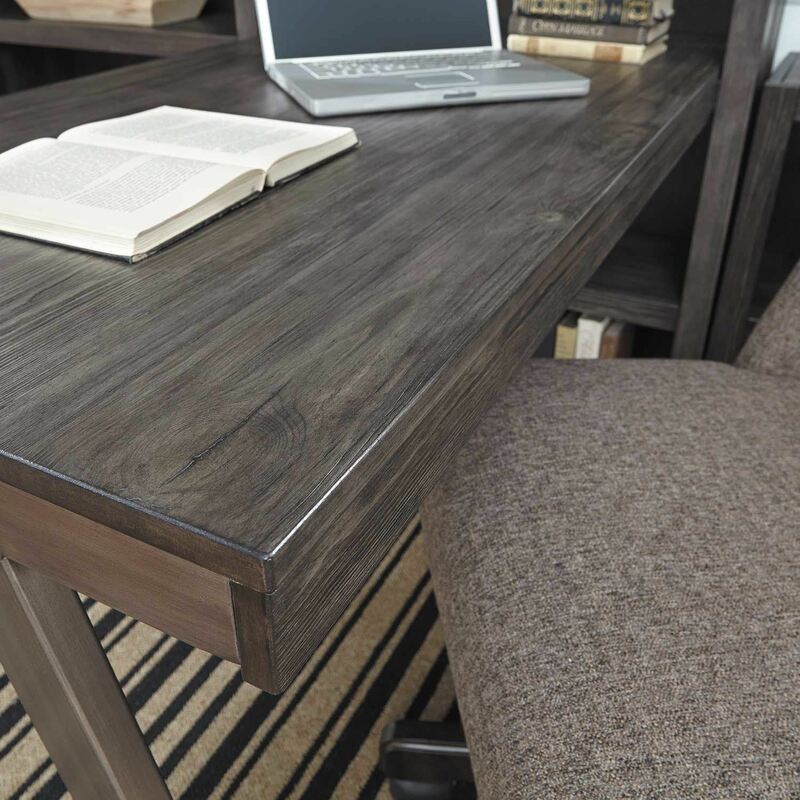 Desks feature metal bases with a hand applied warm tone padded effect over a nickel colored base. 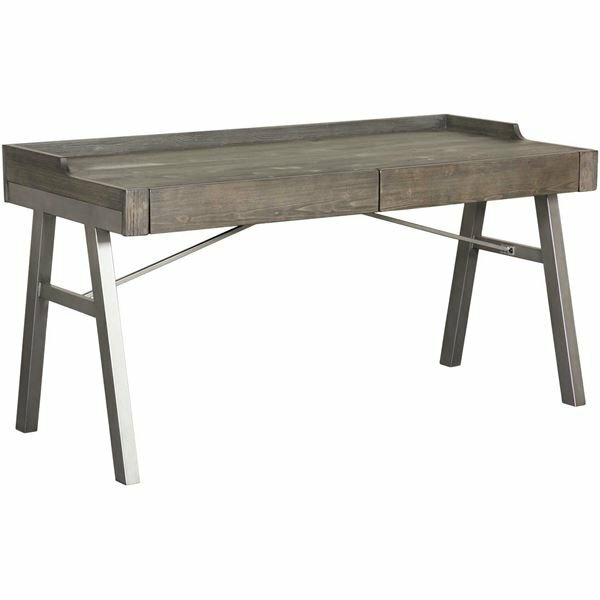 H467-44 desk has metal base. 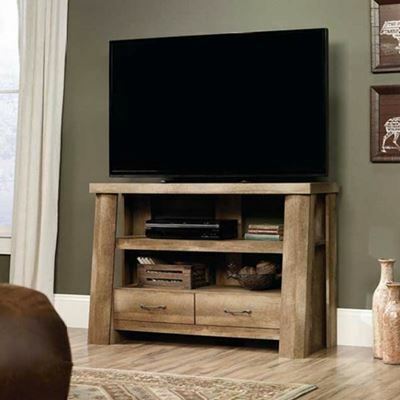 Pine top with gallery rail and drawer functionality.